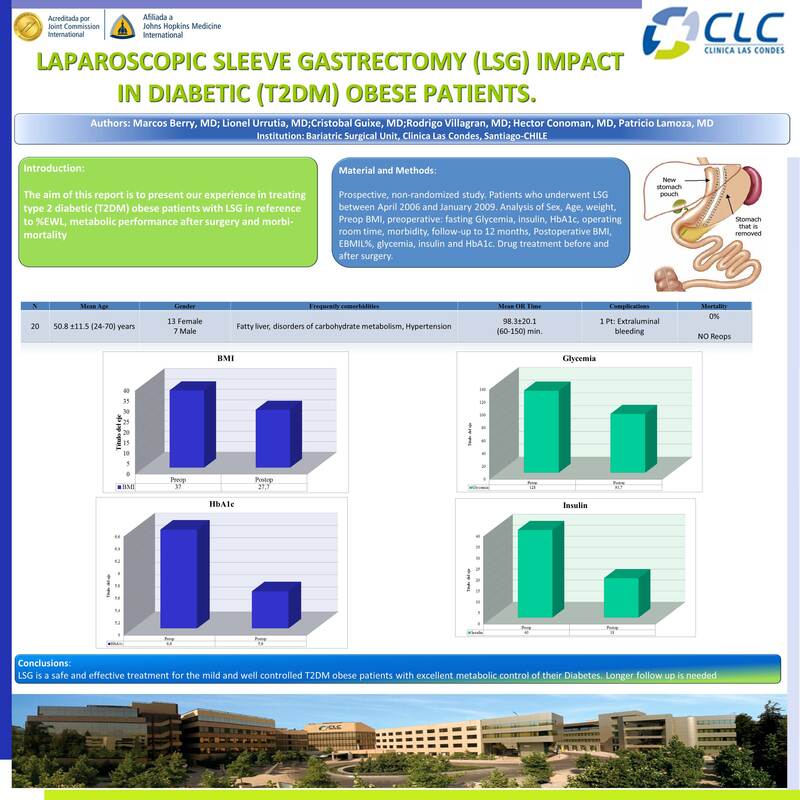 Introduction: The aim of this report is to present our experience in treating type 2 diabetic (T2DM) obese patients with LSG in reference to %EWL, metabolic performance after surgery and morbi-mortality. Methods: Prospective case series of 20 obese well controlled type 2 diabetic patients who underwent LSG between April 2006 and August 2009 and who were followed with a specific protocol. Conclusions: LSG is a safe and effective treatment for the mild and well controlled T2DM obese patients with excellent metabolic control of their Diabetes. Longer follow up is needed.